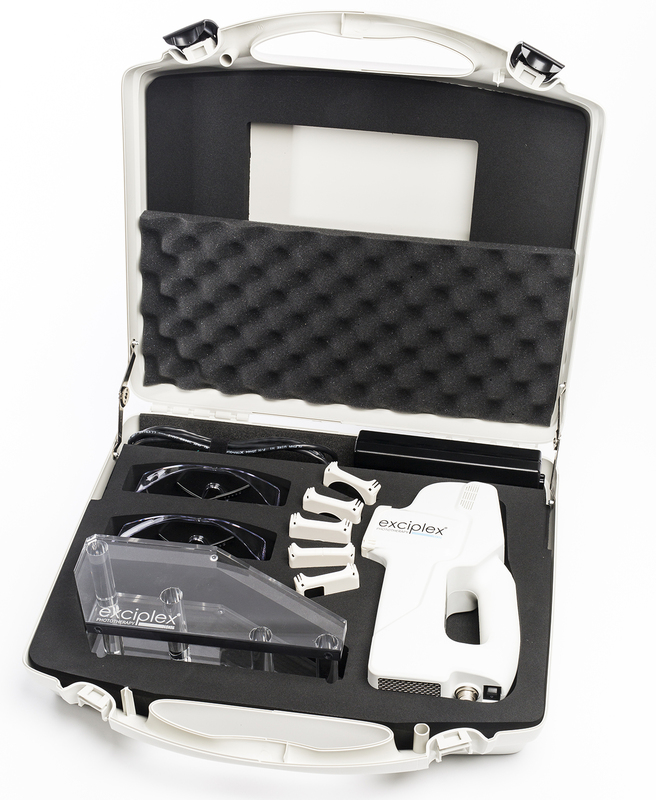 Shown is a picture of the complete kit as it arrives at your medical practice. 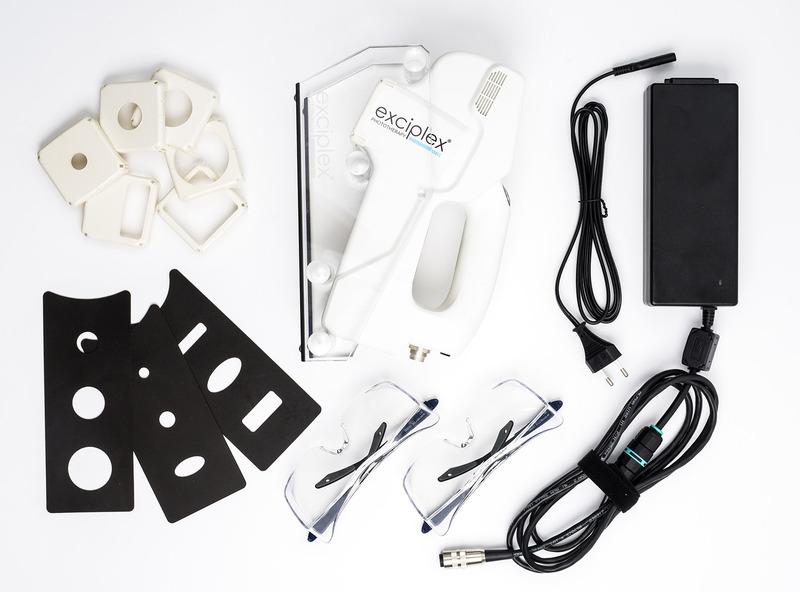 The exciplex kit is compact, easy to use, plugs into a standard electrical outlet, and the case helps protect the device when not in use. Please contact us directly for more information on purchasing the exciplex kit, by clicking on the "Contact Us" button. Note that this is an FDA regulated medical device and is only sold to medical professionals in the USA and its territories. If you have questions about the exciplex use outside the USA, please contact us and we can help direct you to the distributor for you area.